Bright aromas of brambly blackberry mingle with dusty tannins and subtle oak notes, presenting an almost perfumey entry to the wine. Rich, juicy black raspberry, plum and a hint of blueberry merge mid-palate with freshly ground Tellicherry black pepper. Notes of mocha and vanillin oak appear near the finish as the flavors become one and linger on. Ideally suited for pairing with a favorite meal, try this Zin with stuffed pork chops, lasagna rolls or roast chicken served with oven-roasted red potatoes and green beans sautéed with bacon. 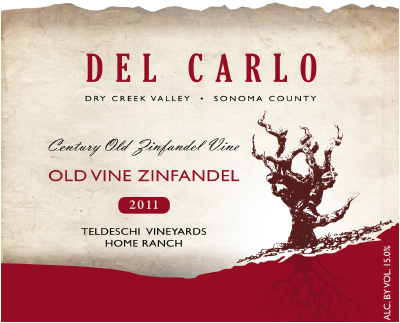 Our Old Vine Zinfandel is grown in the heart of the Dry Creek Valley’s eastern benchland. This big spicy wine is harvested by hand from select vines in our family’s oldest block of vines.